Every month we have a new Challenge at Fitness Integrity. Winners always receive a prize! Congrats to Jake on winning the October Challenge! Highest cumulative pounds squatted in September wins! 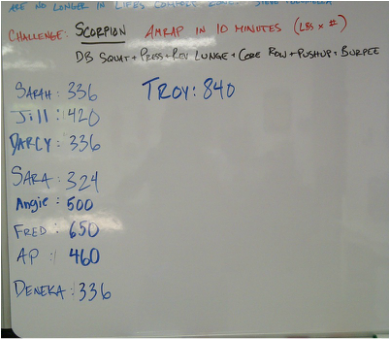 Congrats to AP and Kathy, Jason and Jake for dominating Back Squat to School Month! 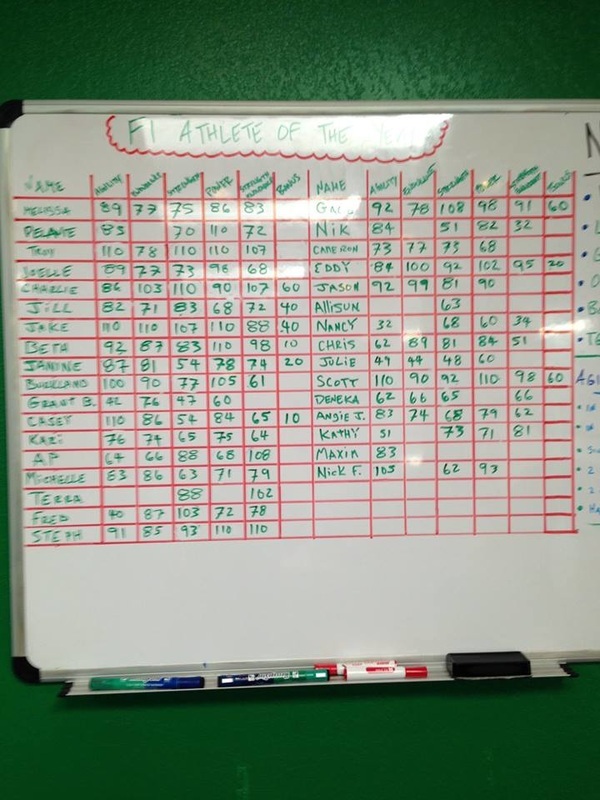 FI clients squatted over 440,000lbs in September!! Congrats to our August Winners - Fred and Beth!! And to all our new record holders in The Scorpion! Congrats to all our record holders in our new category - The KB Wolf! 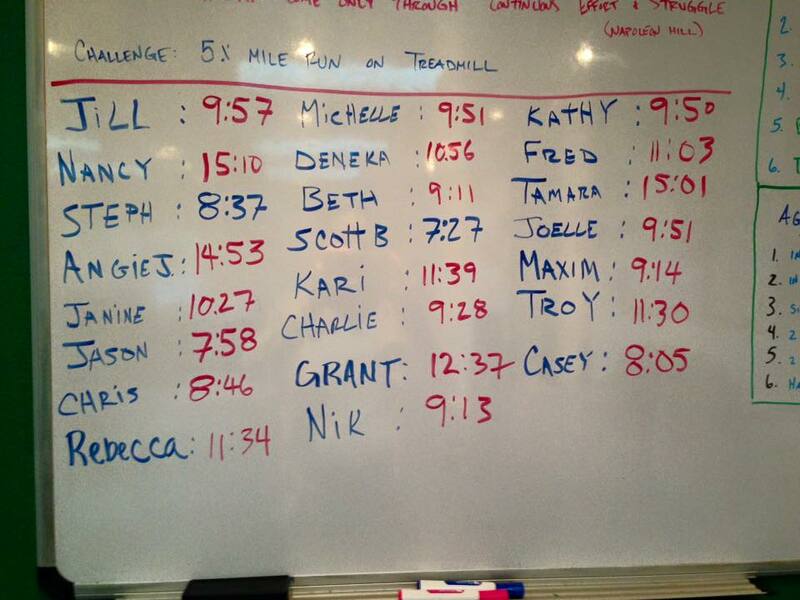 Megan, Scotty B, Cameron, Joao, Terra, Jason, AP, Charlie and Nancy! Congrats to our June winners - Charlie and Steph! Congrats to our May winners - Scotty G and Megan! 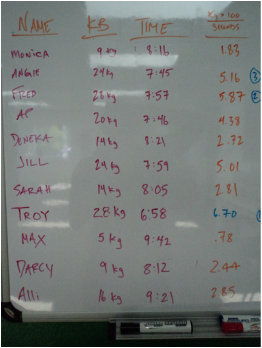 Congrats to our Airdyne Champions - Charlie and Steph!! 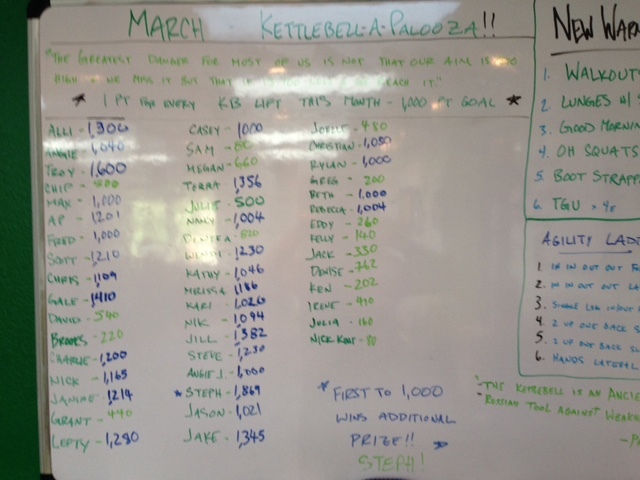 March- Kettlebell-a-palooza - 1 point for every kb lift this month! 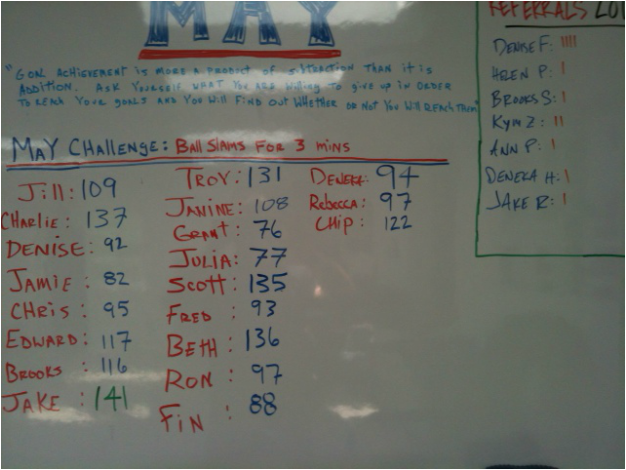 Congrats to our new master jump roper - Greg - who had 572 jumps in 3 minutes!! Congrats to our clients who achieved their goals in January - Nik, Nick, Stephanie and Deneka. Excellent work to everyone in the weight loss challenge! December - 12 Days of Challenges! Must complete all 12 Challenges to win! Congrats to our 12 Days Finishers: Edward, Megan, Nik, Nick, Delanie, Scotty, Lefty, Grant, Beth, Janine, AP, Jill, Steph, Charlie, Melissa, and Deneka! "Welcome to today. Another day, another chance; to grow, to learn, to improve." Big Congrats to Nick Fusari for winning this month's challenge (and beating his old man!)! 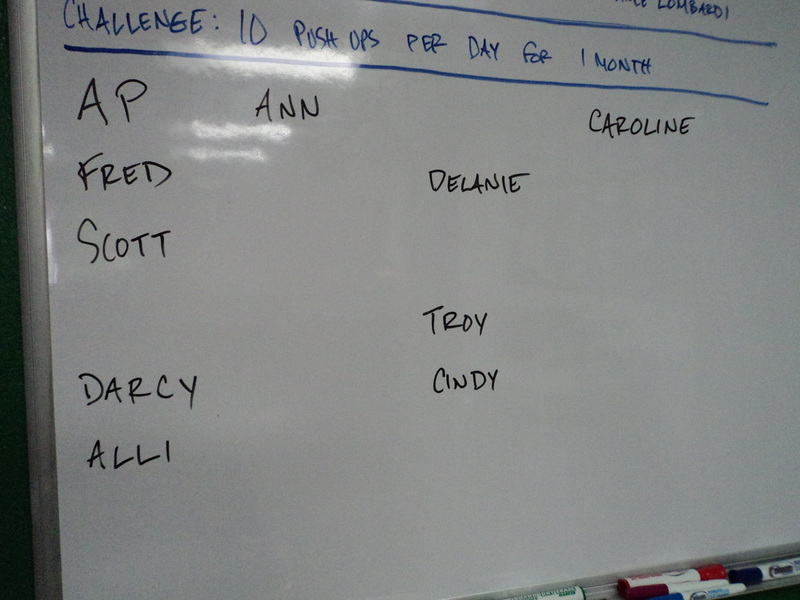 TGU finalists for October: Charlie, Wendi, Jake, Stephanie, Scotty G, Max, Jill and Janine! Everyone that got to 200 this month will receive a prize! Congrats to our September winners - Charlie and Beth! Both had outstanding scores on this month's challenge, both will receive a prize for their efforts! 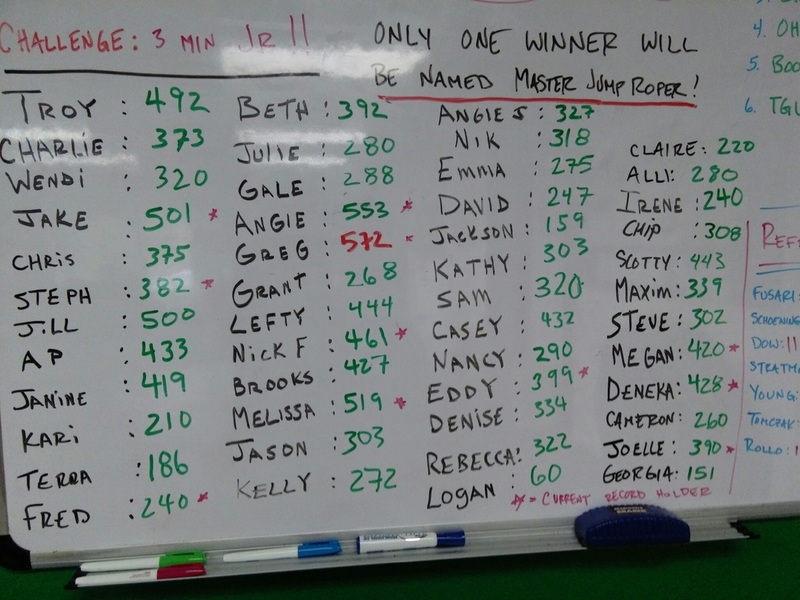 Congrats to our August winners, Charlie and Kelly, who both set new records in the 1000m row! All you have to do to win this month is deadlift 20 tons! Good Luck! 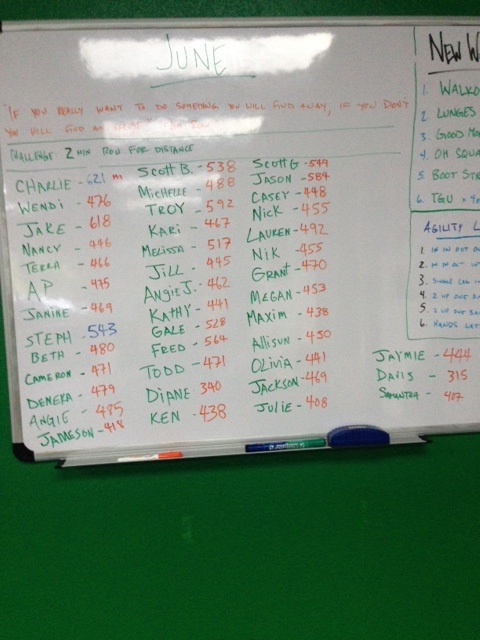 Congrats to everyone who completed the 20 Ton Challenge this month! 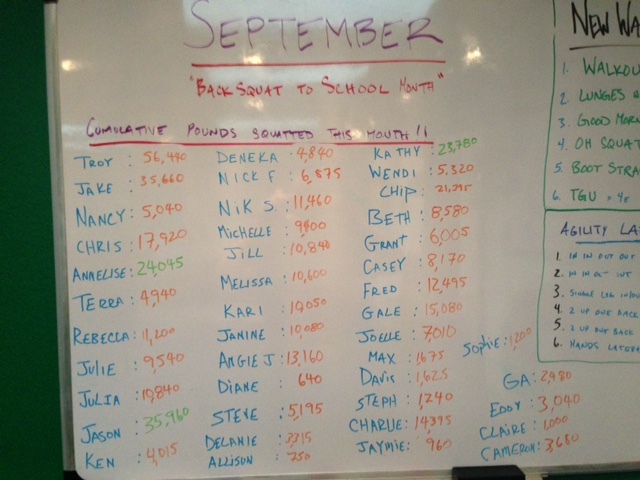 We had 31 clients participate this month and they lifted a total of 581,675 lbs!! Getting from where you are to where you want to be, regardless of the goal, is not determined by ability…nor is it motivation or finding the time. It is effort and desire. Congrats to our winners - Beth, Chris and Scott G - you will all receive a prize for your awesome effort!
" Goal achievement is more a product of subtraction than it is addition. Ask yourself what you willing to give up in order to reach your goals and you will find out whether or not you will reach them." Congrats to Jake for pulling out the win on the very last day of the month!! Excellent work! 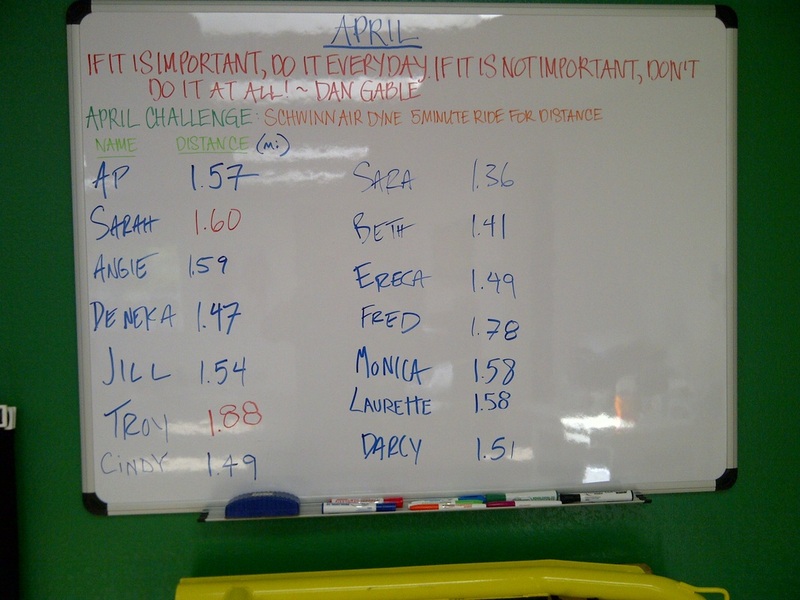 April Challenge ~ Airdyne 5 minute ride for distance! "Anything worth doing in life is worth overdoing." 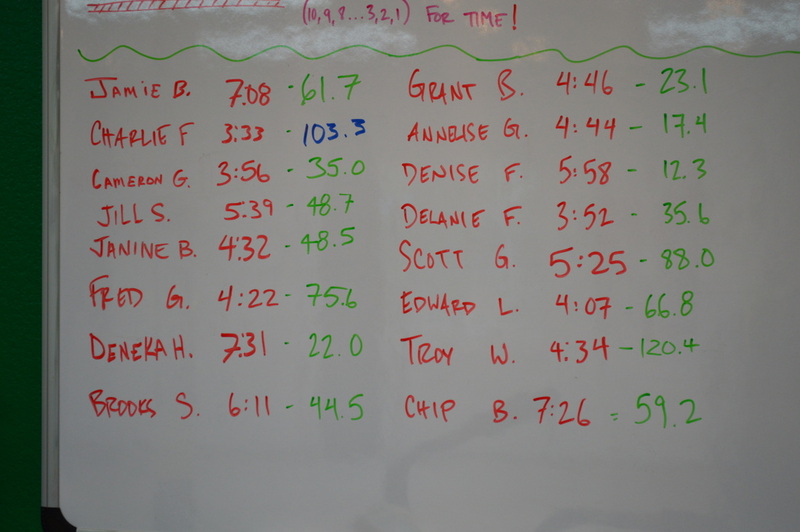 Big Congrats to Charlie and Rebecca for winning April's Airdyne Challenge! They will both receive a prize for their efforts. Thanks to everyone who participated this month! We had our biggest turnout yet! "It hurts now, but one day it will be your warm up." Congrats to Scotty G on winning March's Challenge! Scott will receive a prize for his efforts. March marked our most participation ever in a Monthly Challenge! Keep up the good work everyone! February Challenge ~ Countdown of Med Ball Slams and Hurdle Jumps from 10 to 1 for total time. Congrats to Charlie Fusari for winning February's Challenge! January Challenge ~ Resolutions! Put up anything on the board you want to accomplish in 2014. Stick with it for the month of January and you will win a prize! It's that easy! Congratulations to all of our clients who made positive steps towards change in the month of January! We hope you can keep resolutions as we continue into 2014. Congrats to Janine Burkland for winning the Yankee Swap Challenge! Janine will receive a gift certificate for her efforts! Thanks to all who participated. November Challenge ~ Dragon Slayer - 25 each of the following in order: Push ups, Deadlift, Pullups, DB squat & press, Roll outs, Tire flips. 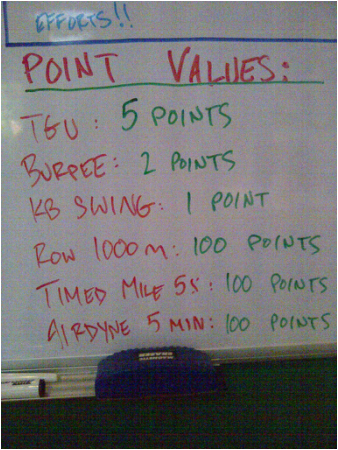 5 burpee penalty TOM. Level and time are recorded. Congrats to all of our Dragon Slayers this month! Fred, Jill, Charlie, Delanie and Scott will all win a prize for their efforts this month!! Congrats to Darcy for winning October's Challenge! Darcy wins a subscription to Paleo Magazine for her efforts! September Challenge ~ 10 push ups a day for a month! 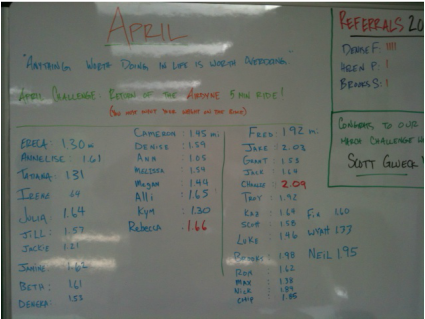 Congrats to those of you who finished the month on the push up Challenge! You will all receive a prize for your efforts!! 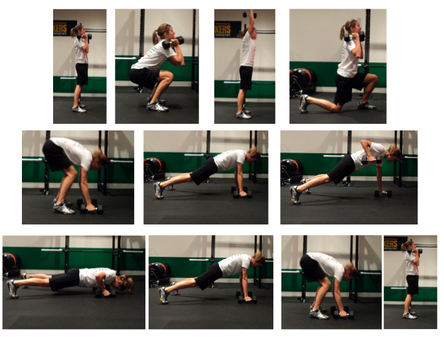 Congratulations to Sarah Woerner for winning the August Challenge! Sarah wins a gift certificate for a massage from Michelle Dorshkind of Alamo Holistic Healing! 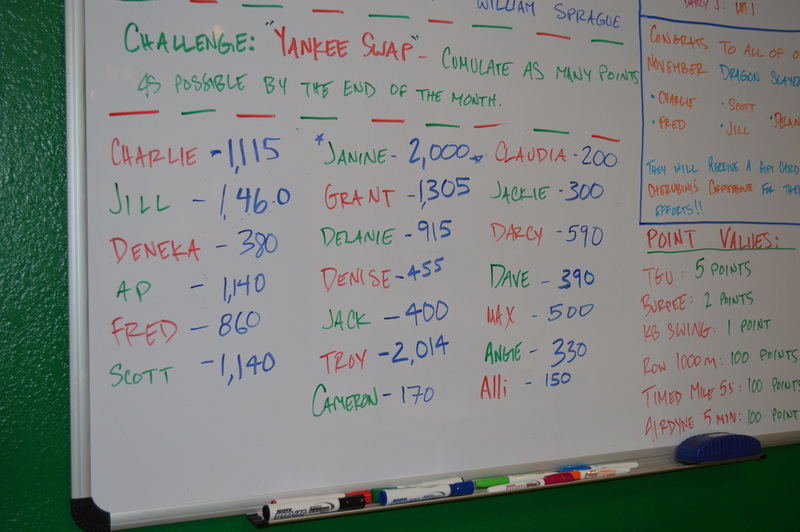 Congratulations to Darcy Jones for winning the July Challenge! Darcy wins a gift certificate for a massage from Michelle Dorshkind of Alamo Holistic Healing! Congrats to The Glueck's who were the winners of the June Challenge! Their prize includes a gift certificate to a local business and Fitness Integrity T-shirts! Congrats to Fred, who was able to retain his place in the Top 3! Fred recieves a gift certificate to The Alamo Cafe for his efforts! 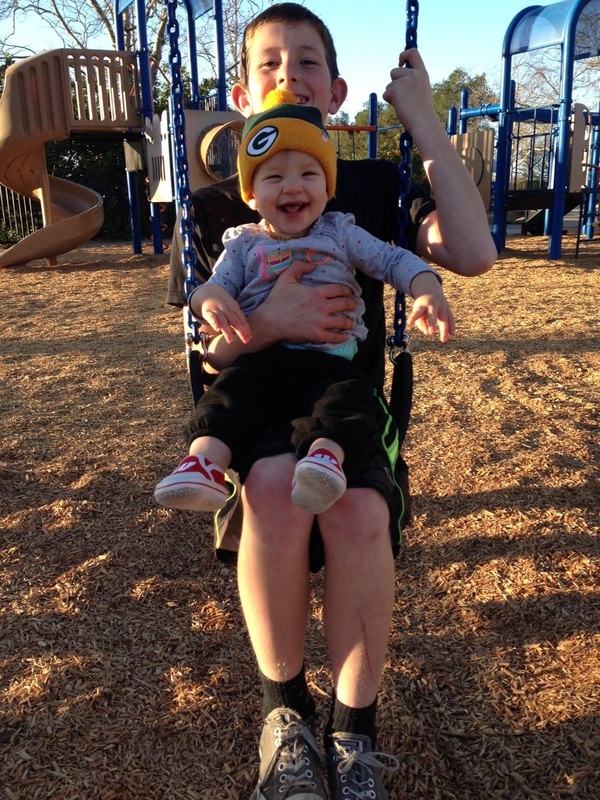 Sarah will receive a gift card to maggierays bbq in Alamo, CA for her efforts!